A 4" x 6" photo is included with the pattern. The finished rugs are for display only and not included in the listing. The design is hand drawn by me with 4" inch borders. Care has been taken to draw the outside lines on the straight of grain so that you will have a squared up rug after pressing and finishing. The raw edges of the backing cloth have been serged to prevent raveling while hooking. For this version, I decided to try hooking it in red, white and blue to make a rug that could be used to celebrate the 4th of July. I started with 5 or 6 fat sixteenths of each of the three colors and worked my way around the rug, mixing as I went. This was a fun rug to hook, a great choice for beginners. If you are planning to take primitive rug hooking lessons, this would be a good choice for your first rug. It's also a quick and easy choice for veteran rug hookers. **Cotton monks cloth is great for all cuts, narrow to #8 or 8.5 cuts. 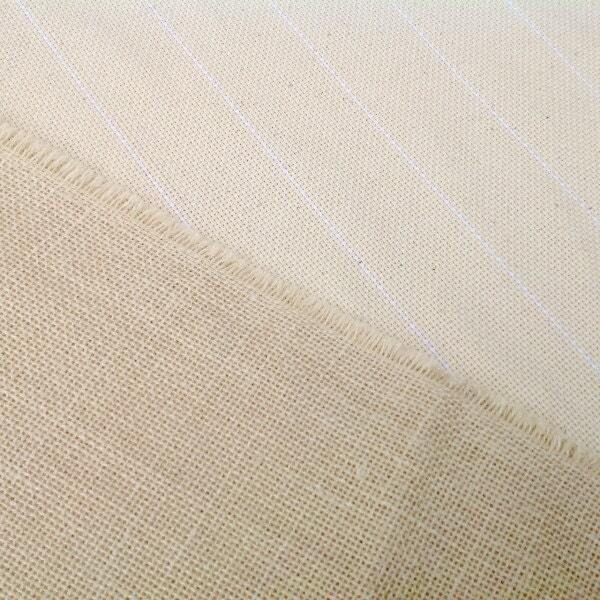 The primitive linen is perfect for wide cuts, #7 and higher. © Mary Johnson. All patterns at Designs In Wool are copyrighted by Mary Johnson, the designer. Your purchase of this pattern gives you rights to use this pattern yourself or give as a gift, one time. You cannot make new copies, redraw, or reproduce in any manner on your own or give this design to others. 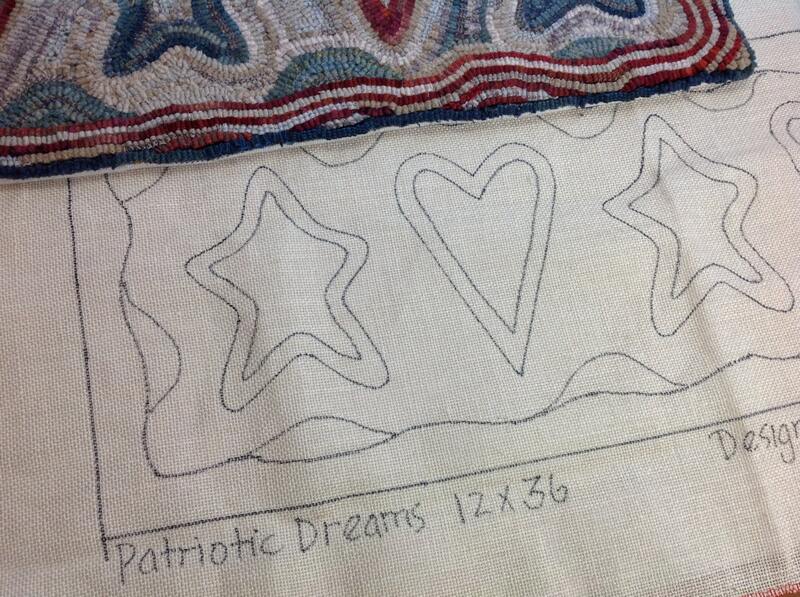 I love this design drawn on linen. Perfect.